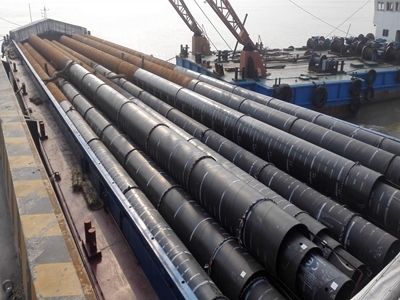 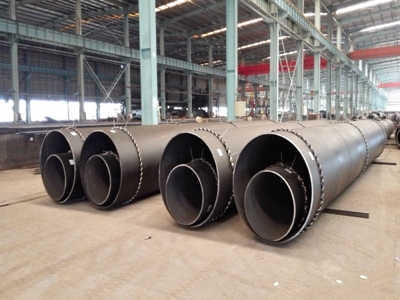 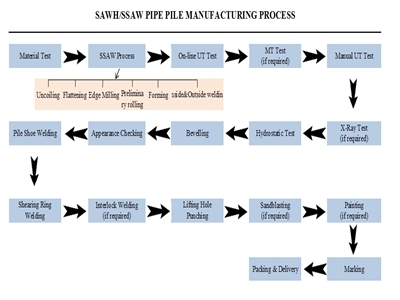 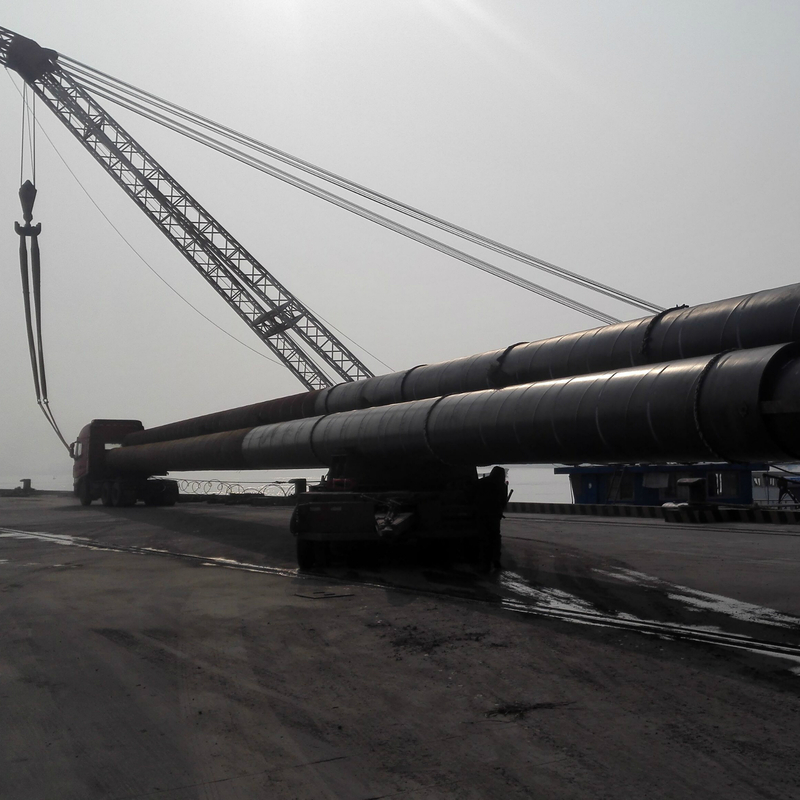 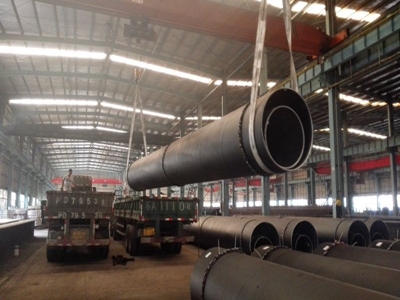 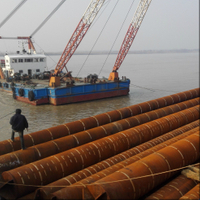 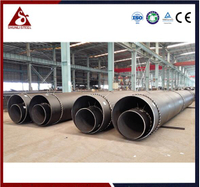 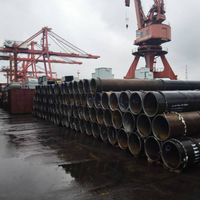 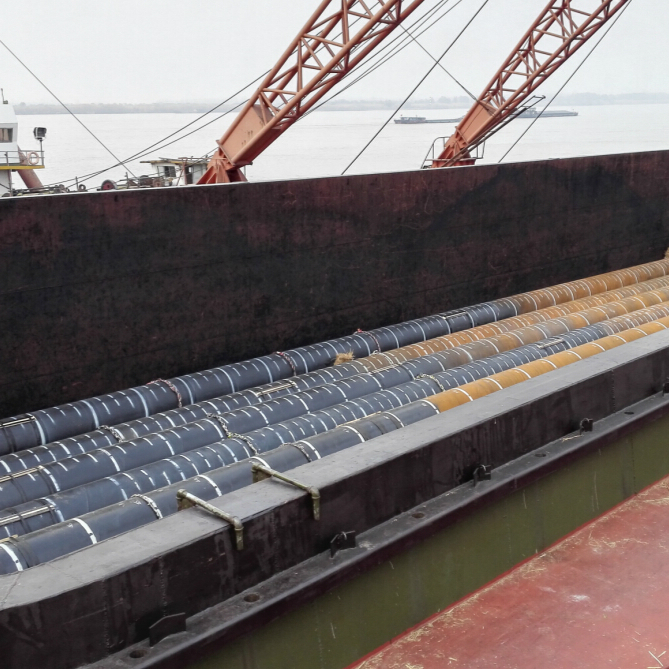 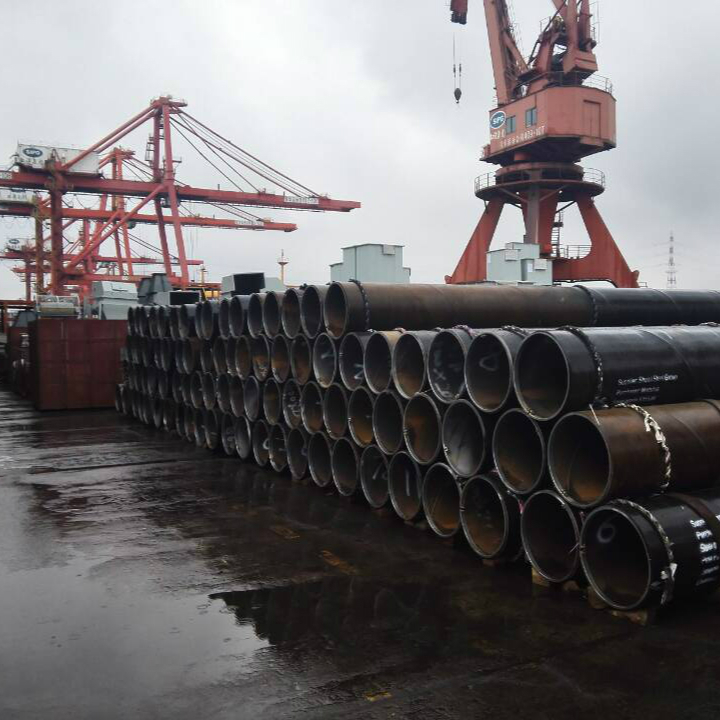 We have been equipped with three sets of SSAW Pipe Piling production lines for Φ219～Φ3200mm, with an annual production capacity of 200,000 tons. 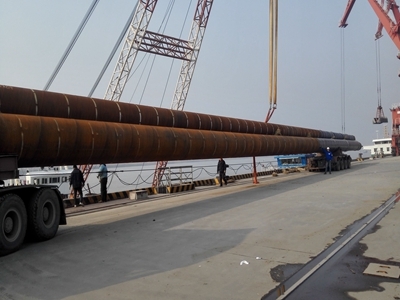 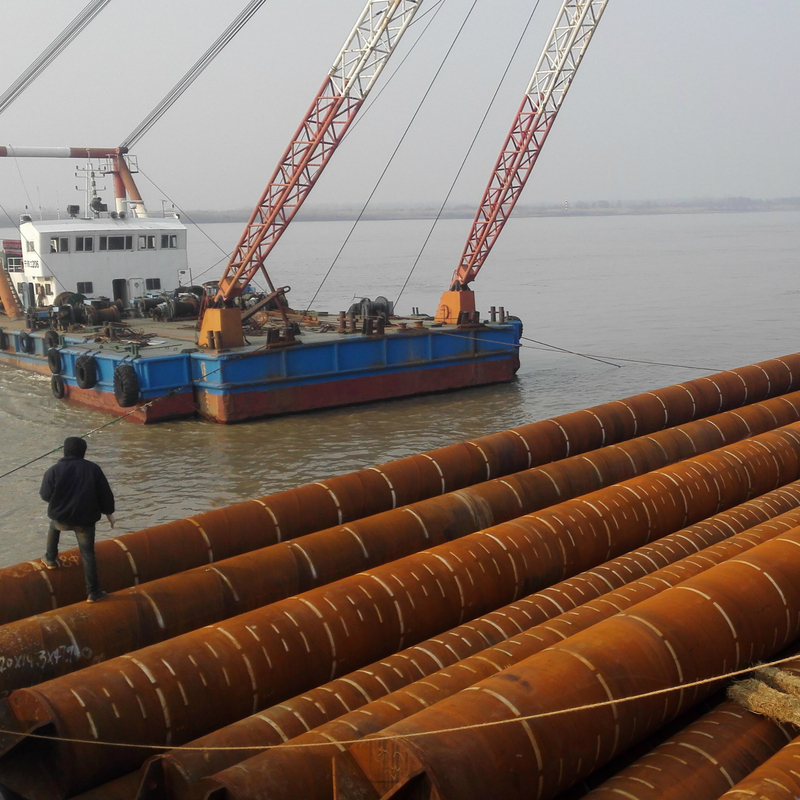 The products are widely used in piling, bridge and steel structure related industries. 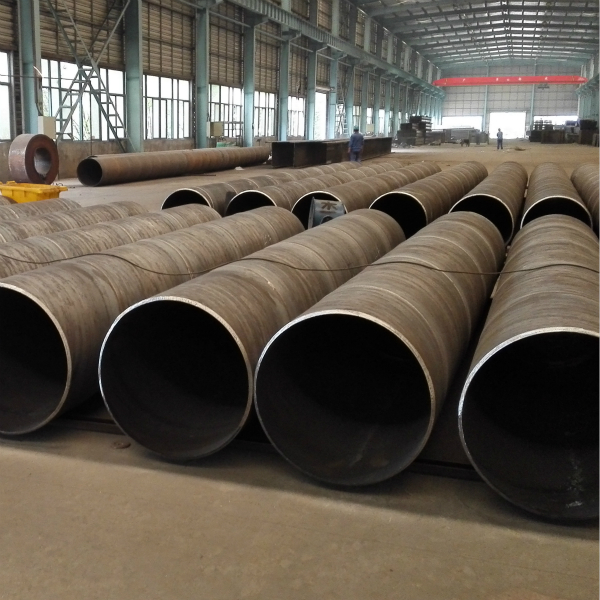 All the production lines are equipped with on-line UT machine. 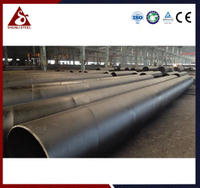 Manual UT, MT, RT and hydrostatic test are all available upon clients' request. 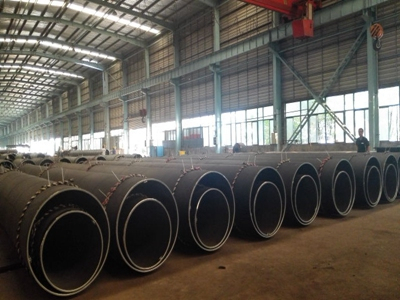 Pile shoes, shearing rings and pipe coating are all available in our mill.